Bob Neilson and crew with his 380 lb mako caught using Tournament Master Chum. 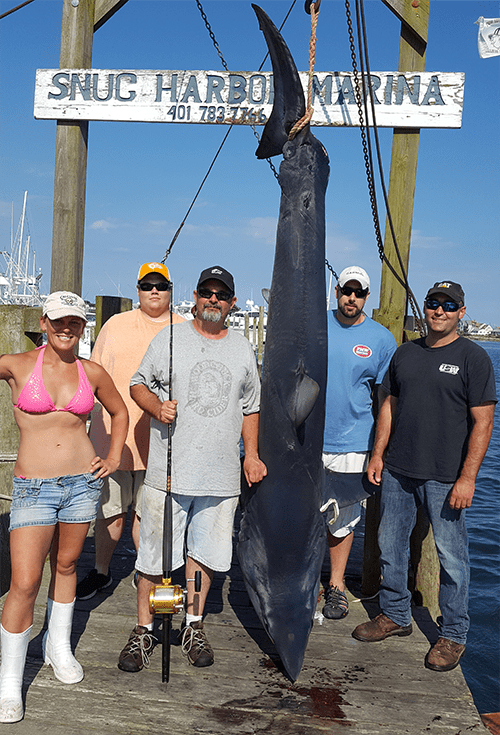 He was fishing on Capt John Kowaleski’s 30 foot Blackwatch, Kimberly Marie out of Narragansett, RI. Fishing with Bob was Marian, Ian, Dan and Eric. Open wide! 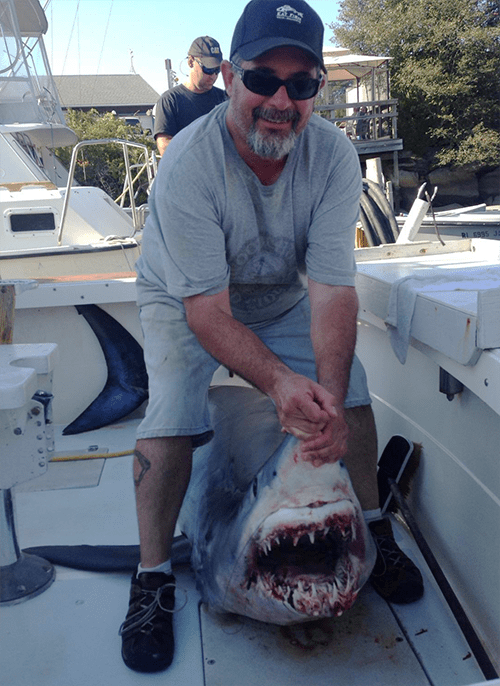 Bob Neilson and his 380 lb, 95 inch long mako caught on Coxes Ledge off Rhode Island. This was his third hook-up of the day.